The Michigan Department of Environmental Quality is now in crisis mode in its attempt to deal with widening questions about the safety of drinking water supplies at numerous locations throughout the state. The DEQ shifted into high gear following the appearance of Bob Delaney, a 33-year DEQ water quality specialist, on the Steve Gruber Show back on October 18, 2017. Delaney outlined grave problems of poisoned water supplies in Michigan and across the country that is being ignored in large part because as he put it, “it’s too big and too expensive” to clean up. Melanie Brown of the DEQ referred to the current efforts to address water contamination from a host of chemicals as an, “all hands on deck,” scenario as the state tries to understand the scope and magnitude of the problem. Brown declined to discuss the potential use of Emergency Managers, like the state utilized during the Flint water crisis, inside the DEQ for the widening concerns of potentially contaminated ground water supplies from hazardous chemicals that have been used since the 1950’s. The chemicals of concern are PFAS’s, PFOA’s and PFC’s. These chemicals are used as waterproofing agents, fire fighting foam (AFFF) and various car polishes. They were also prevalent in tanning operations, plating facilities and many manufacturing operations as well. Each of these chemical applications present specific concerns for water supplies depending on when and where their use occurred. Brown says the DEQ along with the Governor’s office are, “trying to evaluate the extent of the problem and protecting the public health is the first priority.” Brown was unable to say if any of the many recommendations included in a report delivered to the DEQ and its former Director Dan Wyant back in 2012 were implemented. One of those recommendations called for statewide testing to begin immediately but Brown conceded they are not sure how many toxic plumes could exist currently in the state. 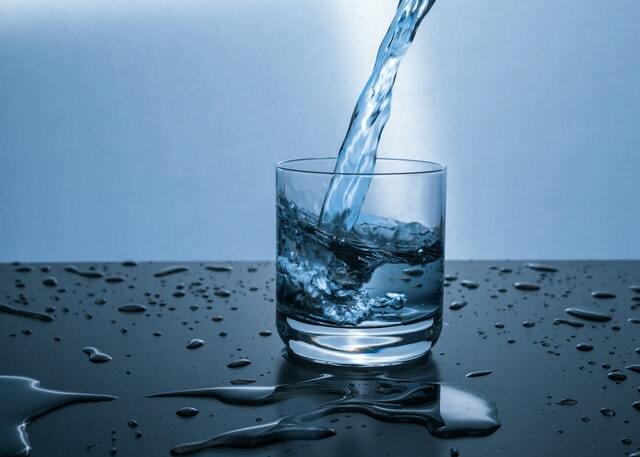 The water crisis in Michigan came back into focus in recent weeks when ground water supplies around a former tannery site in Rockford tested positive for high levels of these compounds. The tannery, which was owned by Wolverine Worldwide, made shoes and used waterproofing products that leached into the soil and then water supplies. Several make shift dumpsites have also been found that have been putting dangerous chemicals into the water for years it appears. The latest crisis follows the Flint debacle in which water was contaminated with lead and the EPA and DEQ were accused of reacting too slowly to the issue. During his radio appearance, Delaney gave numerous details from a report he co-authored back in 2012 with world-renowned toxicologist Dr. Richard DeGrandchamps on the chemicals that have tainted the waters in and around Oscoda. The report focused on long chain carbon fluorine molecules that have contaminated nearly all of the water supplies inside and surrounding the now closed Wurtsmith Air Force Base. The root cause of the water contamination at the Air Force facility is AFFF or Aqueous Film Forming Foam, which was used to fight fuel and chemical fires. Training at Wurtsmith and other facilities over the years caused widespread distribution of the chemicals into the ground and ultimately surface and ground water and has since leached into surrounding lakes, wetlands and rivers including the famed Au Sable that runs just south of the former base. Brown explained Governor Snyder and his administration have made this issue a top priority and added, “the entire administration has a very high interest.” Now that Governor Rick Snyder is involved in this investigation, it’s being treated with “all the seriousness of Flint,” according to Governor Synder’s spokesman Ari Adler. Adler also confirmed the urgency and priority level given to the water testing, “reviews are being conducted on the 2012 report and questions are being asked about what steps were actually taken in response to the reports recommendations after it was delivered.” Adler added that because Wyant left the DEQ quite some time ago it’s not clear what he did with the report if anything. Snyder took tremendous political heat for the Flint Water Crisis that captured the nations attention during much of 2015 and 2016. In Flint, much of the water supply became tainted by lead from old pipes that leached when the water was not properly treated. It quickly however turned into a political firestorm with blame being assessed and charges of racism being leveled at Snyder and others for their slow reaction to the problems. Adler says that will not be the case this time around and said the Snyder Administration is reaching out to a numerous agencies including The Air Force and National Guard in order to have a full understanding of any issues that may occur. The chemicals which are routinely called PFAS’s and PFC’s are the same contaminates found in water supplies in and around Rockford connected a tannery torn down in 2010. The tannery was owned by Wolverine Worldwide and made shoes under brand names like Hush Puppies. The water proofing chemicals however are now known to be hazardous and are linked to several types of cancer, thyroid disease and autism. The growing plume has caused poisoning of upwards of 300 wells and that number is likely to grow daily. Delaney said during the interview however that Rockford was just the ‘tip of the iceberg’, for this kind of water pollution throughout Michigan. In fact, he said 20 to 30 toxic chemical plumes have already been identified in the state and more are being discovered all the time. In addition to their uses by the military and waterproofing processes for leather and textiles they are also found in high concentrations at refineries of which Michigan has had 51 and plating facilities in the automotive industry. Michigan boasted more than 2,000 plating facilities at one time. Delaney pointed to the old General Motors plants on Saginaw in Lansing, better known as plants #2 and #3 and admitted the property is contaminated by the chemicals. Another facility that used to sit adjacent to the GM plants, Adams Plating also left its mark on the water supplies that are also tainted. All three of those former facilities are now part of the Federal Superfund cleanup program. Meanwhile in Oscoda, the battle for a solution continues with no end in sight. The Oscoda Township Supervisor, Aaron Weed, a 22 year Air Force Veteran himself who moved to Michigan 7 years ago says, “every time it rains here the storm sewers pump hundreds of gallons of toxic water out into the neighborhood.” Weed has been fighting to gain attention for the problem that he says is “the systematic poisoning of America.” Weed says he is very disappointed because the contamination flows out onto the ground, into the marsh, the creek, the river and into the Great Lakes. “The DEQ and The Air Force know they are breaking the law everyday because the levels are way over what is allowed,” Weed explained. What’s worse he said is the Air Force doesn’t plan to do anything about it and so far the DEQ hasn’t done much either. “What about the veterans that were given poisoned water?” he persists. Weed says some water at Wurtsmith was found to have 5000 parts per trillion, an astounding level of contamination. “They need to give these veterans, their families and anyone else impacted the health benefits they deserve,” he added. Meanwhile he says take a look around on a windy day and you will see foam on the beach because the AFFF foam will regenerate around the lake. It’s a constant reminder of the poison that seems to permeate this once proud Air Force town and a harbinger of what scores of other military towns could see in the years to come. When asked about Weed’s damning assertions Brown said the level isn’t 11 parts per trillion as he explained but rather 70 parts per trillion. However, it appears in the DEQ guidelines found in part 31 rule 57, that Weed is accurate. The table outlines the limit as 11 parts per trillion for surface water if it’s a source for drinking water and 12 parts per trillion if it is not. Weed went on to say that a big part of the problem is that most DEQ employees do not understand how to apply the table or even understand it, which is creating further confusion. Meanwhile, Brown says the DEQ is addressing the issue and continuing to study what impact these chemicals at these concentrations might have on Michigan and those that live here.